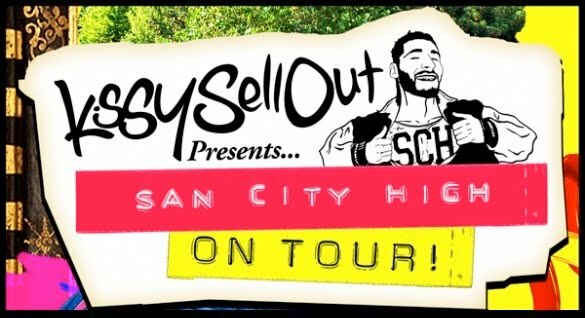 You are here: Home > Blog > KISSY SELL OUT presents SAN CITY HIGH this FRIDAY !!! This Friday at Stealth is dollop, who return after their sell-out October 'Annie Mac Presents...' event with a lineup sure to appeal to all lovers of house, electro, techno & bass. In the Rescue Rooms we are pleased to welcome dollop & Stealth favourite KISSY SELL OUT who will be hosting the room, showcasing the talents of his SAN CITY HIGH label-mates! You know exactly what you’re in for when DJ extraordinaire Kissy Sell Out and his San City High Crew rolls into town. San City High is not only a record label but also an unstoppable musical force bringing the highest quality club tracks to the masses by any means. Expect a damn good party that’s downright crazy from start to finish. But this is not just any party. 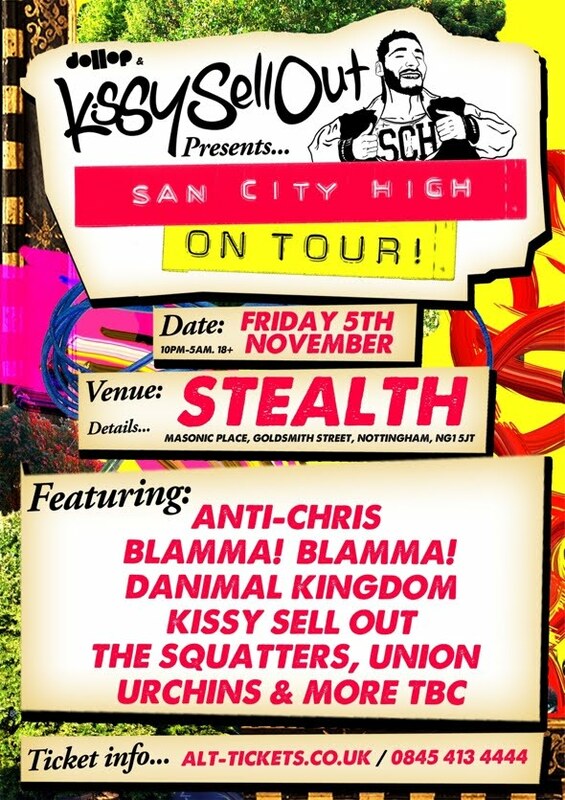 Playing on the night are Kissy Sell Out alongside Anti Chris, Blamma Blamma, Danimal Kingdom, The Squatters, Union & Urchins. All of this amounts to hot, undiscovered talent combined with rock solid established acts… the common factor being exciting and incredible music for everyone involved. Hypeaddict.net presents - Kissy Sell Out from Gavin Kerr on Vimeo. Also as part of the event we have Ed Banger Records star DJ MEHDI who will be perfoming alongside RITON in Stealth as CARTE BLANCHE! Support comes from RIOTOUS ROCKERS & D'LEX, whilst the bass-heavy side of the spectrum will be provided by the mighty TOMB CREW! To keep up to date with all dollop goings on then join the dollop Nottingham Facebook Group and 'like' the dollop Facebook Page.